How customer-centric is your business? 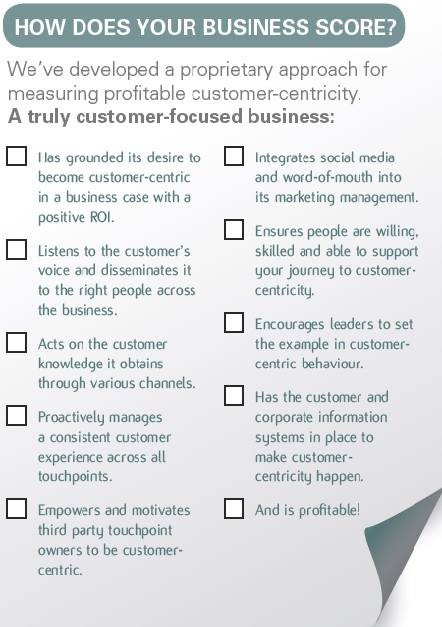 So how do you measure Customer-Centricity? In just a few days, our Customer-Centricity 4-D Scan enables you to measure the progress of profitable, sustainable customer-centricity in your business. You will find out which activities are bringing you closer to customers and which are still in your way. Our experts will compare you with the best in the industry, identify gaps in your capability and show you how to boost customer focus fast. Our Customer-Centricity 4-D Scan is a comprehensive, fixed-budget way to measure, manage and boost the progress of profitable customer-centricity in your business. Let’s face it, sometimes consultants don’t help. They sweep in, alienate all your employees and leave you with a big report on everything you’re doing wrong. Our approach is different. We engage people in open and honest conversations and scan for opportunities together. We equip your people to make the right changes and, if you want, we stick around to make sure it all gets done. 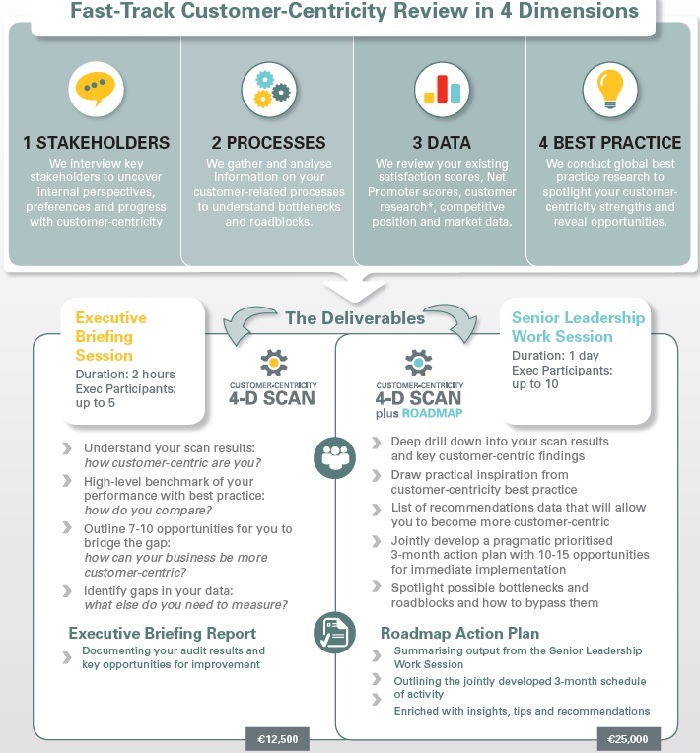 BOOK your Customer-Centricity 4-d scan NOW!